MARQUETTE — The Marquette Area Public Schools Education Foundation recently awarded more than 100 graduating seniors with over $150,000 in local scholarships, which also included three new memorial scholarships that have never been distributed. Out of 250 students in the 2018 graduating class, 116 of them were awarded a scholarship at the Tuesday ceremony held at Marquette Senior High School. This accounts for every eligible graduating senior from both Marquette Senior High and Marquette Alternative High schools who requested assistance for continuing their education, officials said. The three new posthumous scholarships include the Thomas L. Baldini Memorial Scholarship, the William H. Ostwald Scholarship and the Elaine Salo Rizzardi and Joseph Rizzardi Memorial Scholarship. Each of the scholarships were created to honor longtime community members in the MAPS district, said Judy Vonck, MAPSEF Board president. 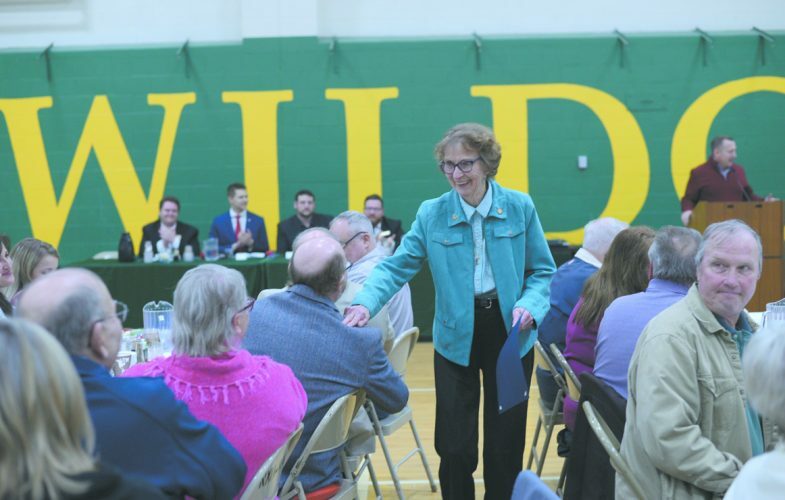 “We also awarded a student an entirely new scholarship that wasn’t a memorial but it came from a fund given to the (Marquette Area Public Schools) community to help set up the Mary Beth Lorsbach scholarship,” Vonck said. MAPSEF was able to give more students a scholarship this year compared to last year’s 89 because the endowment the foundation received was slightly larger. She attributed the larger endowment mostly to the generosity of families that lost someone who dedicated their lives to the educational community. “They taught kids their whole lives and then they retired and they still wanted to give back,” she said regarding the names associated with the memorial scholarships. Although the number of awards is nearly 30 more than last year, Vonck hopes it will continue to grow. However, getting more funds for scholarships won’t come without challenges, she said. She added MAPSEF set a goal last June to not only get more graduating students to apply for scholarships, but to also get more students awarded with scholarships.